Ever wanted to dance under the stars on the Bryant Park Lawn? You'll get your chance on July 20 at Barefoot Ball. 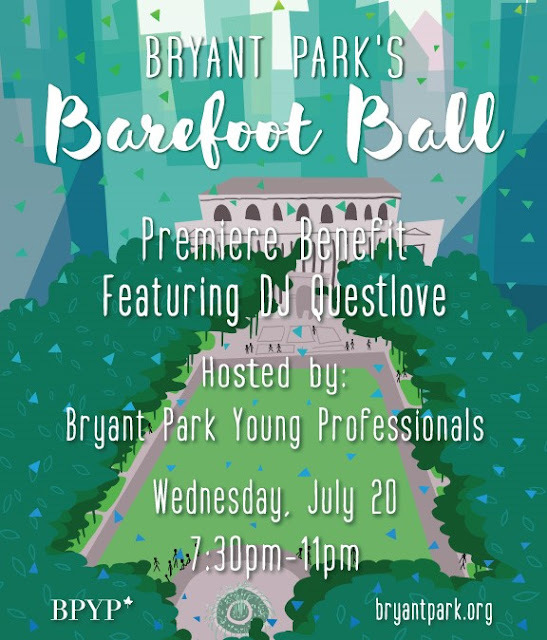 Kick off your shoes and enjoy tunes from DJ Questlove, an open bar, and the ceremonial launch of Bryant Park Young Professionals. Tickets for the benefit are available for purchase on Ticketmaster. Shoes off, party's on! Tickets are on sale now, so snag one before they're gone! Wow! We are super excited to join in this unique summer event THE BAREFOOT BALL. It's a fun party for sure.